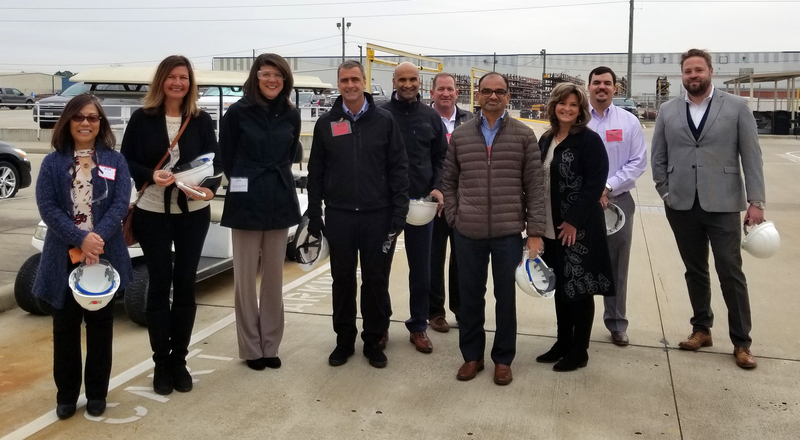 PESA Supply Chain Committee (left to right): Hope Anderson, NOV; Christina Beahm, Ringers Gloves; Brooke Whisenhunt, Ellwood Group; Art Travis, Kerr Pumps & FlowValve; Shankar Annamalai, Apergy; Mark Reed, MustangCat; Pravin Tampi, Newpark Drilling Fluids; Cris Baker, Sigma Fasteners; Zach Dunn, Fox Metals & Alloys; Frank Cantrell, Galtway Industries. The PESA Supply Chain roundtables are members-only events and are focused on sharing knowledge and best practices around industry trends and timely issues within supply chain. Several of this year’s roundtables will be jointly hosted with other PESA committees. On February 21, the Supply Chain Committee is hosting a Supply Chain Conference at Baker Hughes, a GE company. The theme of this event is the Strategic Importance of Supply Chain and will feature operator insights, as well as an economic perspective from Simmons Energy. Throughout 2019 the Supply Chain Committee will continue to meet and discuss ways to provide value to PESA membership and those within the supply chain. The PESA Supply Chain Committee includes representation from Aereon, Alix Partners, Apergy, B&L Pipeco Services, Baker Hughes, a GE company, BJ Services, DistributionNOW, Ellwood Group, Forged Products, Forum Energy Technologies, Fox Metals & Alloys, Galtway Industries, Gardner Denver, Kerr Pumps & FlowValve, M&M Forgings, MustangCAT, Newpark Drilling Fluids, NOV, Oceaneering, OFS Portal, Sigma Fasteners and Ringers Gloves. Member companies interested in joining the Supply Chain Committee should contact PESA Director Member Services Peggy Helfert.